What do you notice about these words? How are they alike? Where in the word do you find the spelling pattern? In your word hunts, which pattern did you find more frequently? Which pattern has the most words in the column? The fewest? If you’re not sure how to spell a word with a long a sound, how would you know which pattern to use? What would be your best bet? Why? Can you divide the word into parts? What is the base word? Are there any prefixes or suffixes? Do the word parts give you information about the word’s meaning? Can you think of other words that have the same sound (or root, base word, etc)? What did you learn that might help you be a better speller or a better reader? Your child will be bringing home a collection of spelling words weekly that have been introduced in class. Each night of teh week your child is expected to do a different activity to ensure that these words and the spelling principles they represent are mastered. These activities have been modelled and practised in school, so your child can teach you how to do them. 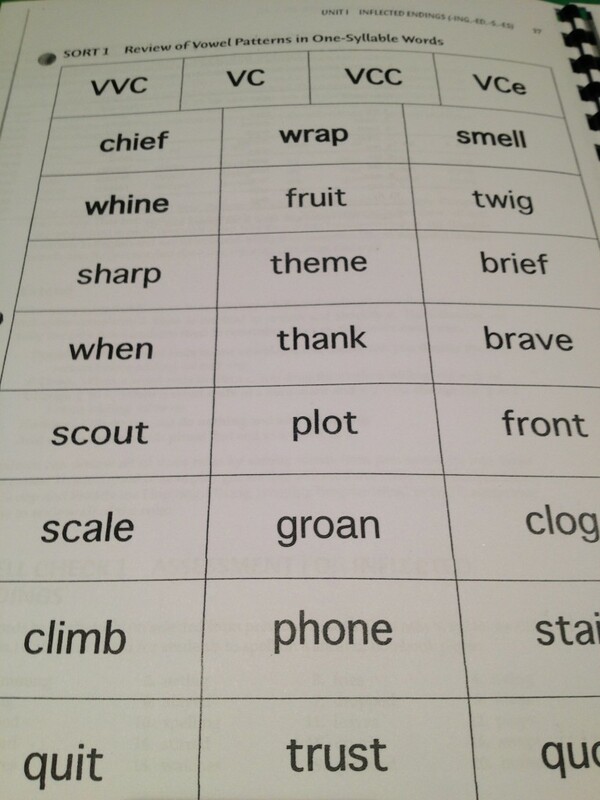 Monday Remind your child to sort words into categories like the ones we did in school. Your child should read each word aloud during this activity. Ask your child to explain to you why the words are sorted in a particular way – what does the sort reveal about spelling in general? Ask your child to sort them a second time as fast as possible. You may want to time them. Tuesday Do a blind sort with your child. Lay down a word from each category as a header and then read the rest of teh words aloud. Your child must indicate where the words goes without seeing it. Lay it down and let your child move it if he or she is wrong. Repeat if your child makes more than one error. Wednesday Assist your child in doing a word hunt, looking in a book they have already read for words that have the same sound, pattern, or both. Try to find two or three for each category. Thursday Do a writing sort to prepare for the Friday test. 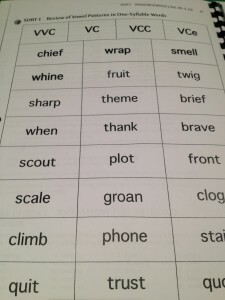 As you call out the words in a random order your child should write them in categories. Call out any words your child misspells a second or even a third time. Thank you for your support. Together we can help your child make valuable progress! https://www.box.com/shared/vhzn7ol8zo6vnpybl1iz – Copy of recording book for teacher.